Some of the most energetic and active pets are born under this sign of Aries. They love workouts/exercise and are not easy to tame/train. They do whatever they want and make tons of noise but are so friendly and sweet that they want to learn new tricks just to entertain you, your friends and Aries pets love to see you when you come home from a long day. Aries pets are the most assertive of all pets and make excellent watchdogs. They love playing outdoors, with kids but can get a bit compulsive at times. Aries pets like to roam and will resent being locked up. A competitive spirit is behind their stamina more so than other pets in the neighborhood and they love the newest gadgets and trendy toys. The head, eyes and ears of Aries pets are vulnerable, so take extra special care of these areas of your Aries pet and make sure they visit the doctor regularly as they are prone to head injuries, eye infections and ear infections are also common. Taurus pets are lazy, tend to be overweight and love to sleep a lot. They need comfortable beds and a plush pillow and blanket set to be utterly content. Taurus also needs a lot of pampering, beautiful toys, soothing sounds and plenty of fresh and high quality foods to chose from. The Taurus pet loves to be nurtured with slow, steady yet consistent affection. Lethargic and home bound by nature, Taurus pets despise exercise and prefer to simply lounge around the house. Loyalty and stubbornness are trademarks of the Taurus pet and they do not ever wish to leave the creature comforts of home unless it's to get more food or occasionally socialize with other pets. Taurus pets rarely (if ever) run away and tend to be beyond loyal to their owners. They tend to gain weight easily, so avoid over feeding your Taurus pet and keep an eye on their treats 24/7. With children at home, your Taurus pets promises to display tolerance, love and can e extremely gentle towards his or her family. More communicative, social and interactive, Gemini pets are noisy, curious and highly social like Cooper. They crave variety, stimulation, freedom and hate fixed routines/schedules. They are bright, beautiful, amusing and love to learn new tricks and special skills. They are fast eaters and can multitask more than any other pet. Gemini tends to be fast in every aspect. They eat fast, walk fast and run fast. Their paws are also very distinctive! They tend to be ever curious and can wander from places to people and are ethereal in nature. They can invent original stunts/tricks and precocious moves and posses a contagious zest for life. Social is the perfect key word for your Gemini pet, so make sure you give Gemini frequent attention and allow them time to socialize with other animals for ideal results. Otherwise, your special Gemini could run away or get depressed due to lack of under stimulation. Moody Cancers pets love/need to be a part of a family or they suffer in silence. They are not wanderers and rarely desire to leave home. They are prone to stomach problems and need regular meals, consistently. Keep them away from emotional outbursts, stress and loud noises as they are generally very intuitive, emotional and highly sensitive to the New and Full moon days every month. Your Cancer pet loves to play with kids and snuggle up with their owner(s) (You). Occasionally, your Cancer pet will need privacy. Cancer pets can be quite possessive about their toys, food and when defending their family members. Cancer pets do not like to be left alone when your family goes on a trip/away. They are tender and are infamous for their affectionate warmth and loyalty to their tribe. Give them space but make sure you let them know how valuable they are to your tribe. Leo pets demand the royal treatment, Leos are charming, show offs and tend to be spoiled rotten. They can be lazy and desire and demand the best of everything. Their favorite meals served in a elegant bowl, being washed and groomed regularly (they have the nicest hair/manes of all animals and insist on being the center of attention, 24/7). However, they are also capable of dramatic love, posses a strong vitality and are known for their fierce loyalty to to their owners. The Leo pets is so attractive that he or she tends to gain the attention of other pets and families in the Leo pets neighborhood. Leo pets can be quite demanding at times but are courageous, fierce and headstrong! The Leo pet has been known to perform heroic deeds, such as saving a child in danger or dragging a person away from a crime scene. Leo pets sense when harm is headed their way or to the detriment of their owners, so if you need a special someone to protect you and be your personal home security system, pick a Leo pet for companionship and security. With finicky Virgo pets, you will need to exercise patience, routines and stability. Healthy meals served on time and a stringent routine is a must for Virgo pets. Virgos are known for being hypochondriacs and might need more trips to the veterinarian office than other pets will. If you follow a set and stable routine, they are the easiest to care for and if you love to work out, take your Virgo pet with you for ideal results. The Virgo pet prefers orderly, neat and tidy surroundings and ideally favors a meticulous environment. With Virgos innate ability for details, this pet promises to be low maintenance. Just keep a clean space and make sure your Virgo pet has a health well balanced diet and all will be happy on the home front. Libra needs another pet in your home in order to be 100% happy, secure and content. Companionship is essential to this gorgeous pet. Libra pets need other pets and people around 24/7 and they cannot stand to be left alone. If they are left to their own devices, your Libra pet may start acting out, showing sadness and whining/barking/complaining constantly. Harmony at home is essential for them as these pets need a loving atmosphere. They love to socialize and are quite fond of owners who take them out to play or go to the park regularly. Libra pets are very eager to please you and others in your family as well. Just make certain you include another pet into your tribe to keep this animal happy and stress-free. Scorpio pets are mysterious, loyal and tend to be one person pets by nature. Independent, caring and strong-willed, Scorpios are pets who mate for life with their owners. They can be stubborn only if they are left alone or caged up 24/7. Scorpios might jump the fence for an adventure but rest assured Scorpio pets always come back for you, their one and only. These special pets would take a bullet to protect their owner. Emotional, sensitive and ever intuitive, Scorpio pets promise to cheer you up whenever you're lonely, sad or going through a rough time. If you seek a pet that dotes on you 24/7 and will never leave your side, adopt a Scorpio pet and your worries will eventually melt away. You will know you have a best friend and loyal companion in a Scorpio pet! Sagittarius pets are happy-go-lucky, friendly and highly optimistic by nature. They are always cheerful, highly energetic and love to travel.The Sagittarius pet can become bored easily, tends to get claustrophobic and will need space often. Sagittarius pets prefer hiking, long walks and love taking trips/traveling. However, to keep this pet happy, you must let them accompany you on your travels occasionally. Take them on a family vacation as a special treat to keep them content and continuously fun to be around. Capricorn pets are cautious, stern and loners by nature. Capricorns do not like to share you with other pets. Conservative in nature, your Capricorn pet will do anything to get/grab your attention. The Capricorn dog can learn tricks easily and makes the ideal guard when the family is out of town. If you're seeking a guard dog, look no further than a Capricorn pet. 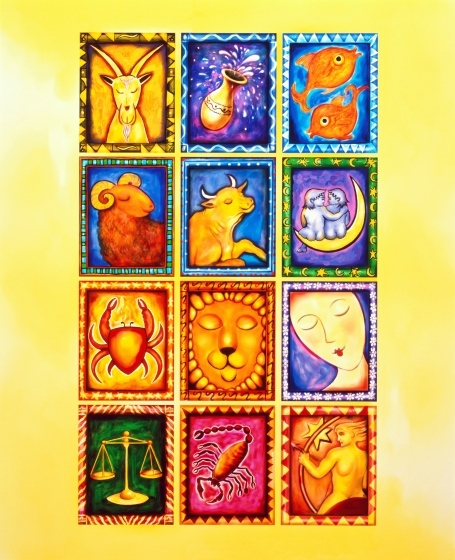 Capricorn pets are stable, consistent and serene and prefer a luxurious/plush home/surroundings. Work is play for them and Capricorns need to be needed. The Capricorn pet is easy to train and has immense self-control. Capricorns are self-reliant and can be counted on to contend with the security of your home while you or your family is away/ out of town. Pay special attention to their skin, bones and teeth as these areas will need special attention on occasion. Eccentric by nature, Aquarius pets are unusual, quirky and eccentric. They can be picky at times and love the freedom to express themselves in a unique way and that says a lot. Aquarius pets don't like leashes and despise being confined or put in closed spaces with no exit sign in sight. They can get anxiety disorders from being near or in closed in spaces. They love to socialize and mix easily with people, children and other animals, much like Leo does. They are individualistic in nature and won't easily sit on your lap or do tricks. If you grant them space, they will surprise you with love, affection and the occasional surprise/shock and event you never saw coming. They are known to live by their own set of terms. Never boring or quiet, Aquarius will surprise you with their rebellious, unique and off beat behavior. Pisces pets live in their own dream world and can appear to be lost in their own fantasy life. They are sweet spirits and the most intuitive and empathetic pet you will ever own. Pisces pets promise to shower you with affection but they can get moody at times. However, they also need to be near you or they get freaked out easily, too. Finding a balance is the ideal goal with this pet. Pisces are known to crave fattening foods, so exercise control with their diet and give them occasional space to deal with their dual nature. Pisces rules the feet, so make sure you pay attention to your Pisces paws/feet. A Pisces pet loves to be groomed/manicured regularly and prefer taking baths often as they are ruled by the ocean. Pisces also loves the ocean/water, so frequent or even occasional trips to the beach, near a lake or by a body of water will find your Pisces pet more content, relaxed and ultra comfortable in your company.